WHILE most sculptors create masterpieces using clay, stone or marble, Brendan Jamison uses a sweet alternative... sugar lumps. 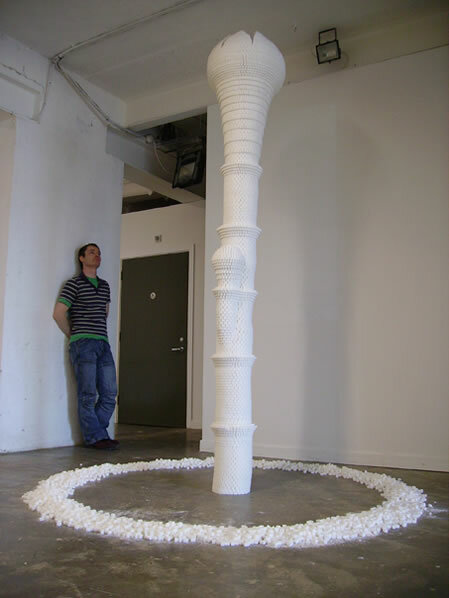 The 29-year-old's largest design stands 2.7m (9ft) high and was put together over two months using 19,342 cubes. While it may not be everyone's cup of tea, Jamison's models have been exhibited around the world and commissions are pouring in. 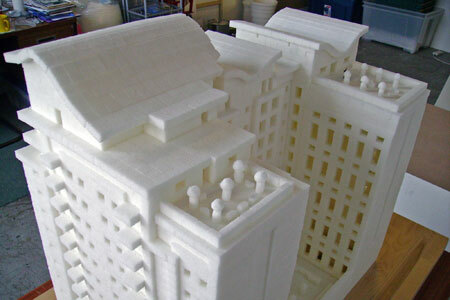 The latest was for a scale model of a block of apartments near his home in Belfast's Cathedral Quarter. The finished product contained 11,256 cubes. The fine arts graduate, who sells some of his larger pieces for up to £7,000, said he always had a vivid imagination. 'I spent the majority of my childhoodbuilding Lego up in my bedroom,always attempting to capture whatever new thought I conjured up - be it a spaceship, skyscraper or robot,' he said. 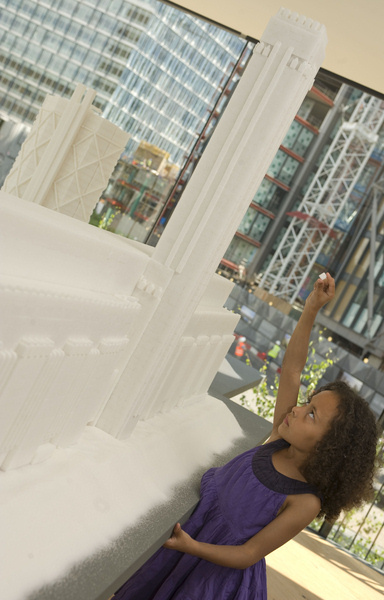 'The use of sugar as a building block allows for immense freedom through cutting and carving the sugar crystals. To hold the blocks together Jamison uses a special glue which is absorbed into the sugar. 'The process involves considerable patience and intense concentration,' he added. Life is sweet: Brendan Jamison gazes up at his tallest tower. He is also proud of sugar walk (left) - a model of an apartment block in Belfast which he had patiently glued together.